Australian seafood processing co-products, such as Sea Cucumber viscera are currently discarded. To sustain the future growth of the seafood industry, it is essential to turn these wastes into resources for the development of value-added opportunities for the seafood industry. 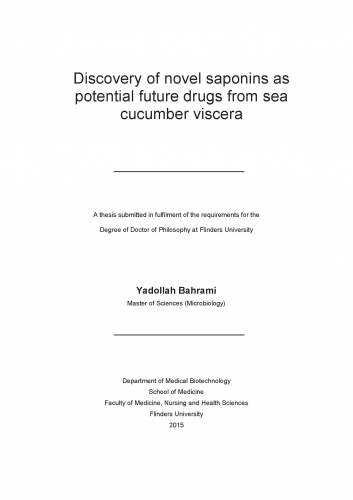 The results of the project will make a significant contribution to the sustainable utilisation of Australian Sea Cucumber resources by developing value-added bioproducts from Sea Cucumber processing wastes, such as the viscera. This in turn will significantly aid the growth of the industry, especially into export markets where demand for high-quality Australian seafood products has been increasing.